This quote resonates because when KnowAtom partners with districts, we look at the culture of professional development, the values and behaviors of a school, and how school members function as a tribe. When there is an understanding and alignment on values, behaviors, and norms, there is an opportunity to get down to expert-level discussion more quickly. However, when instructional leadership is weak and those norms, values, and behaviors are scattered or informal, it takes much longer to move toward a focus on what really impacts student learning, honing in on the practices, the tweaks and the way that we deliver instruction, the way that we set expectations that really produce learning outcomes. 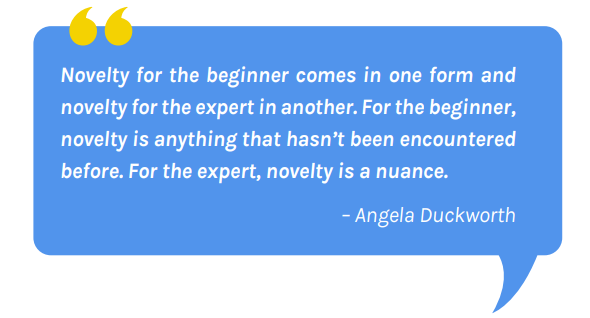 One of the important things to realize with these new standards is that as you’re implementing, everybody is going to start as some form of beginner. 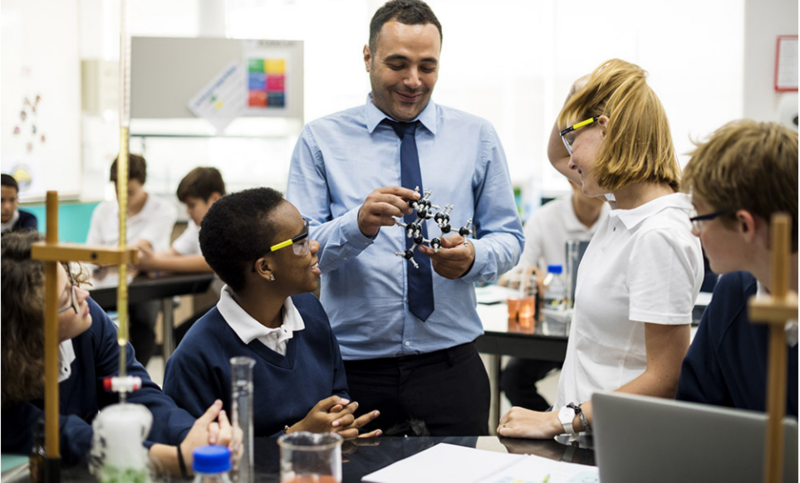 If teachers already have an understanding of things like scientific discourse, how to engage students in questioning, using phenomena to drive learning and teaching, and getting students to a full release responsibility, then your teachers are that much closer to expert level when it comes to engaging and making the switch. If you’re not there, that is the hard work that’s ahead, and it’s much harder to do when you don’t have well-developed resources, professional development, or a culture where that is really part and parcel of how the work gets done. 1. How do we define success? How success is defined really determines how we teach and how we learn. If success is defined as transforming student outcomes and equipping students with critical thinking skills—creative, evaluative and analytical thinking skills that are useful for any college or career choice—then teaching and learning practices would need to reflect that. Think again about the culture of instruction in a traditional classroom, where teachers explain content to students, who then repeat back, verbally or through a demonstration, to show that they’ve learned. That creates a culture of learning that teaches students to comply, to remember, and to recall. It doesn’t teach students to create, evaluate, or analyze. It doesn’t help them learn how to develop problems and questions into evidence-based solutions, which is really what’s at the heart of these new standards. 2. Who are your partners in growth? The partners in growth are your teachers, your administrators, your students, your resource providers, parents and community members. 3. If your growth isn’t where you want it to be, what combination of these folks may need help? Is anyone not pulling their weight? Is anyone not on-board with the vision? How do we communicate with those folks? 4. What supports do teachers need to be effective as a team and as individual practitioners? Teachers will often hear things in professional development from resource providers, but they won’t feel the permission to implement those from administrators because the administrators aren’t part of that professional development and don’t understand how their instructional leadership needs to be informed by what’s going on or what’s required by a new program. On the other hand, administrators and teachers may try to "do a program" but they may not be effectively changing their practices and communicating to students what the new expectations are. Think of an eighth grader who’s gone through learning in a traditional model for their academic career. If you have a truly next generation-designed program in place, the expectations on them are going to change. If you’re not communicating those expectations with students, then you’re missing an important partner in that growth process. We have to recognize that we’re engaged in a productive struggle and the challenges are fun but they’re only fun if we are approaching them in the proper way.